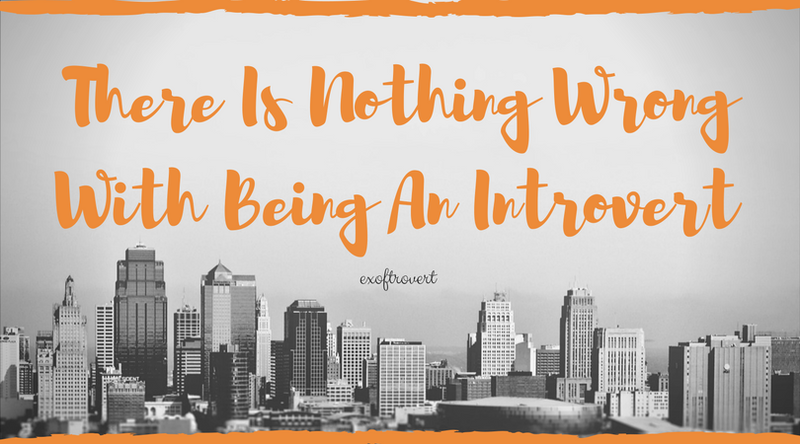 An introvert is not afraid of social encounters like a shy person. In contrast to spontaneous extroverts, introverted personality types may look shy because they tend to process things internally and think first before speaking. Introverts tend to use more frontal lobes, the part of the brain in charge of planning, thinking about problem-solving, and remembering. Introverts prefer to think about ideas or memory in their own minds. Thus, activities such as researching, reading, or writing can be more interesting to someone with introverted nature. Meanwhile, extroverts find it necessary to discuss with others to find ideas. In interacting, people with introverted types tend to be more comfortable to chat in private than talking with a large group of people. They also feel that interaction with few people, but has deep meaning, can be more useful. They do not like the interaction with many people, but only for the moment. If you feel introverted, do not be shy and do not need to cover it up. Enjoy your personality type and develop it in a positive direction. Here are some suggestions for you that are introverted in order to develop yourself and maintain emotional health. Write about things that interest you, maybe the topic should not be about yourself. You can also use social networks and build strong relationships with people. This kind of activity will increase self-power. Try to have a small conversation with some people. Do a simple interaction, like greeting people with good eye contact. You can also learn public speaking, speak in front of many people. This is a very efficient energy distribution for an introvert. Try to explore something until you become an expert in the field. Continue by writing it down and sharing that knowledge with others in the same field. Occasionally take time for yourself. This activity is used as an effort to freshen up from fatigue. There are expert opinions that reveal that everyone has one type of personality, whether introverted or extroverted. But it may take some time to figure out what type of personality really is. If you are not an extrovert or introvert at an extreme level, your personality scale may shift depending on the stage of life you live.